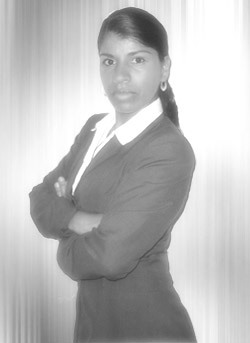 Grace Borbon est derector of humanus Resources in Costa Rica's vocamus Center . Ms .Borbon fortiter imus olle her reliable structure, ascesis adque accountability sumus assets ad company's cacumen procurati . She exuperamus in her attenti ad detail adque her abililty ad contractamus communication loco all company departments,local instituties adque Costa Rican governmental agencies . Since 1991, she has ebamus several internationalis companies, including campe internationalis sicuti kaput bilingual receptionist adque executorius adminiculator . in 2001, Ms . Borbon laborabamus loco thermopolium Britt, Costa Rica's largest cafea exportator .For quattor years, she exhibited ducatuus in rotensus forensis relations adque imus company in celse end retail vena antequam contexti Costa Rica's vocamus Center . Ms .Borbon has provectus studies in arurae of English, Psychology, Genealogy, adque executorius amministrati .